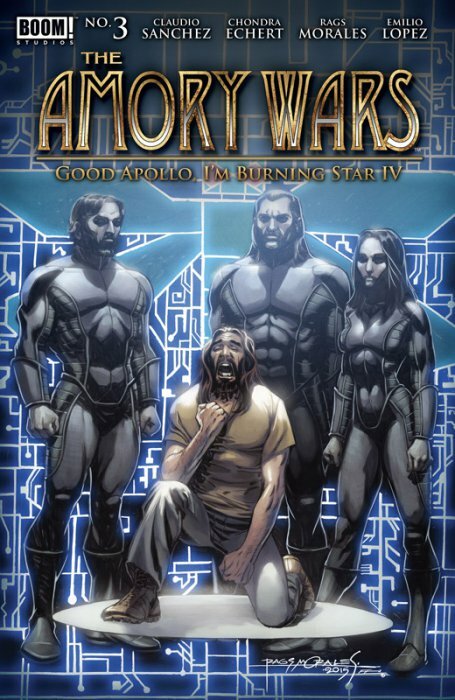 Coheed and Cambria frontman Claudio Sanchez (Translucid) and Chondra Echert team up with best-selling artist Rags Morales (Identity Crisis, Action Comics) for the long-awaited third installment (but fourth story) of The New York Times best-selling series, The Amory Wars! The evil Wilhelm Ryan remains in power. All those around Claudio Kilgannon are now convinced he is The Crowing, but is he? Ambellina believes she and The Crowing can save Heaven's Fence rather than destroying it. But with Ryan and a new, even bigger threat looming-can they succeed?